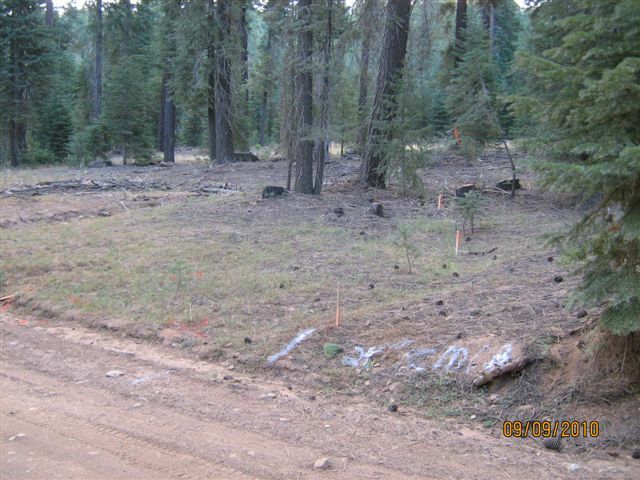 Background: In the summer of 2000 a large wildfire started by a Union Pacific Railroad maintenance crew burned onto the Lassen and Plumas National Forests lands. The railroad was found at fault for starting the Storrie Fire and was ordered to pay the Forest Service a settlement. The monies are primarily to be spent on restoration of the fire area. Plumas County Road 307 known as the “Humbug Road,” was, and still is the primary access into the fire area. Since the road is currently a native surface road that has been identified as needing maintenance to decrease impacts to watershed, the project is involved in improving drivability and reducing watershed impacts of the Humbug County Road. The project will include, among various treatments, replacing and adding drainage culverts and adding aggregate surfacing. 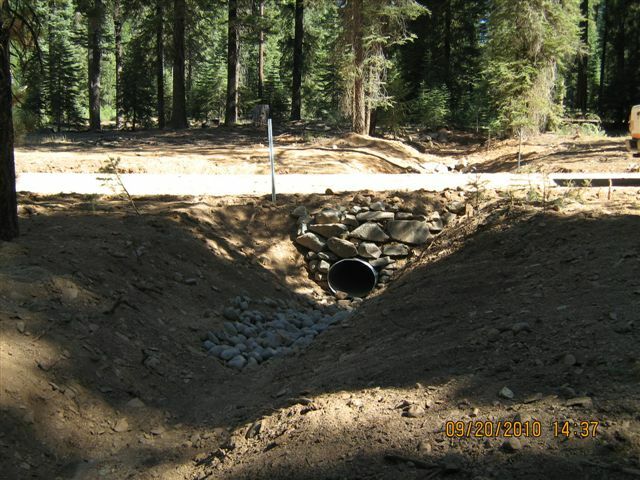 The Public Works Department responsibilities for the project was to improve drainage facilities in the project area. This is an example of an area needing a new pipe. It is a flat area where water had no flow path except across the surface of the road. There were 21 pipes placed in a four mile section of the road.